Hard to believe it's been nearly a year since I started Multipurpose Colony Modules (MCM), and what a difference a year makes. Multipurpose Colony Modules has fulfilled its mission in more ways than one, but it lives on through its successor, Pathfinder. Many of MCM's art assets are carried over into Pathfinder and given a new mission. You can find the Pathfinder thread here. Thank you for all your support and I hope to see you all in the Pathfinder thread. 1) Recommended: Use the existing MM_USI config file (installed with 0.4.1) to hide the unused MKS/OKS parts. Active Texture Management and/or the opengl switch can take care of ensuring that you have lots of memory available for other mods. MM_USI.cfg is installed by default, so youÃ¢â‚¬â„¢ll automatically have the unused parts hidden. This is the easiest solution since you donÃ¢â‚¬â„¢t have to do anything, but you wonÃ¢â‚¬â„¢t reclaim system memory. 2) For advanced users only: Delete the unused parts from your Kolonization directory. Do so at your own risk. Deleting files from MKS/OKS may break your game, voids your warranty, means you wontÃ¢â‚¬â„¢ get any support for MKS/OKS without having a complete and proper install, and is not recommended unless you know what youÃ¢â‚¬â„¢re doing and/or are badly in need of system memory for your game. Bear in mind that the MKS/OKS memory footprint is already quite small, so you likely wonÃ¢â‚¬â„¢t gain much, especially if youÃ¢â‚¬â„¢re using Active Texture Management and/or are using the opengl switch. The two folders that can be pruned of files are the UmbraSpaceIndustries/Kolonization/Assets folder and the UmbraSpaceIndustries/Kolonization/Parts folder. Listed below are the files in each folder that are supplanted by Multipurpose Colony Modules. An asterisks (Ã¢â‚¬Å“*Ã¢â‚¬Â) character means all files starting with the characters before the asterisks can be deleted. For instance, DECAL* means DECAL_52, DECAL_53, DECAL_54, DECAL_55, DECAL_56, DECAL_57, DECAL_58, DECAL_59, DECAL_60, and DECAL_62 can all be deleted. Listed for each folder is a section called Optional. These files could be kept if you wish to use parts that arenÃ¢â‚¬â„¢t supplanted by those in Multipurpose Colony Modules. For instance, I rather like the HabDome, so I keep the related files in my MKS/OKS directory. Awesome Always cool to see folks extending stuff. Good thing that i haven't started building my Minmus base yet. the security Cert on your download link is invalid. You have asked Firefox to connect securely to www.spellflight.com, but we can't confirm that your connection is secure. Yeah.. the NAN kraken strikes! No but seriously. Fix it please? Absolutely wonderful stuff, great work Angel! Will definitely take a look. Templates should be included in the Mcm/Multimodule directory. Module separation might be due to Firespitter. Do you have the logs? Well, it is in beta... Problem is I didn't include the storage container's templates. I'll get that updated right away. 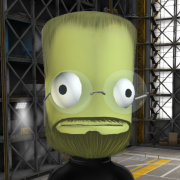 The module separating issue... what I need is your KSP.log file (found in KSP directory) and your output_log file (found in KSP/KSP_Data directory). I suspect a dll problem. Did you update to the latest firespitter? You'll need the unofficial build. Also, what version of MKS/OKS do you have? Not just the "latest version" but the actual version number. That'll help me figure out what is going on. Edit: Fixed the download link, no more https. Thank you, that helps. I think I've identified the problem. I should have an update shortly. New version is up, 0.1.1. Recompiled the DLL files to make sure everything is up to date. Fixed config file for the MBU to use correct field name for defaultTemplate. Added missing config files for Multipurpose Base Unit. Added Pioneer template and decals for MBU. Also, as much as I dig Rover's art, I really appreciate a stockalike option. Groovy. Glad you like it. I have been trying to improve my art skills by mimicing PorkJet's art style. I plan to build modules that blend well with Helldiver's art style as well. I have a storage node in the works, for instance. i will dig up the WIP and post it later. I haven't checked (haven't used KSO yet in 0.25) but do the OKS modules fit properly in the larger shuttle? I'm including the Habitat and Agricultural inflatables in that question. The original OKS modules do fit, as does the MCM and MBU. The Multipurpose Base Unit has the room to put the inflatable modules onto the attachment ports and still fit the Super 25. In fact the whole Multipurpose Colony Modules concept centered around fitting inside the larger Super 25. Would it be possible to change the bases so they accept surface mounts like the default MKS bases? I am sad that I can't attach them to kerbitrail tubes and the like. It also looks like the 'Repair Shop' module might have a typo or be out of date - it's marked as generating 'ReplacementParts' instead of 'SpareParts', and does not produce the correct thing. Yup, definitely possible on both counts. Thanks for the feedback, I'll fix that in the next update. Should have something tomorrow. Sure thing. My plan is to do a pull for the modules first (MKSModuleSwitcher, MKSStorageContainer, support files). I'll provide you with the templates and sample MKS/OKS module config files separately. That way you can see how the system works and tweak it as desired. I'm designing it so that the context menus for the converters are still be available via MKSModuleSwitcher, but modules built on top of MKSModuleSwitcher can hide the GUI and replace it (such as what I'm doing with the M.O.M.). In the SPH the switching for both the MCM(can switch but stats/apperance don't change) and the MBU don't work if building in there. However if you load the pieces through as subassemblies the switching does work. Also the value for Liquid Fuel on the MBU is off. Thanks, I'll work on those. Can you elaborate on the Liquid Fuel value? MBU only holds a third of the values from the refueling storage tank- 35% to be exact. Never mind, I see the problem in the template. New version is up! Download is on the first page, or you can click here. 0.1.2: Added surface attach ability to the MBU. Modified Repair Shop template to use correct converter values. Fixed LiquidFuel value for Refueling template. Fixed issue in the SPH that prevented the MCM/MBU from switching types. @RoverDude: I have created a pull request using a modified version of Multipurpose Colony Modules' core code. It's just the core modules, not the templates and sample files, which you can find here. These samples contain all the templates from Multipurpose Colony Modules as well as the config files for the generic MKS and generic OKS modules. You should be able to just compile the source, drop the samples into your test game directory's UmbraSpaceIndustries folder, and have fun. I do have a question for you about your GitHub site for UmbraSpaceIndustries. The main page is at http://bobpalmer.github.io/UmbraSpaceIndustries/, and I noticed that the releases are at https://github.com/BobPalmer/MKS/releases. I am new to GitHub, and I was wondering how you set up those pages. Is there a tutorial somewhere? Do you need the paid version of GitHub? I'd appreciate some pointers if possible.